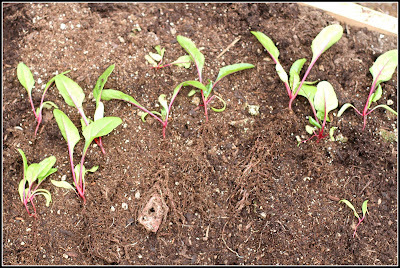 In April, I purchased some beet starts. They weren't in my "garden plan" but while I was at the nursery, I picked them up. It's funny how they come like this, all bunched together. 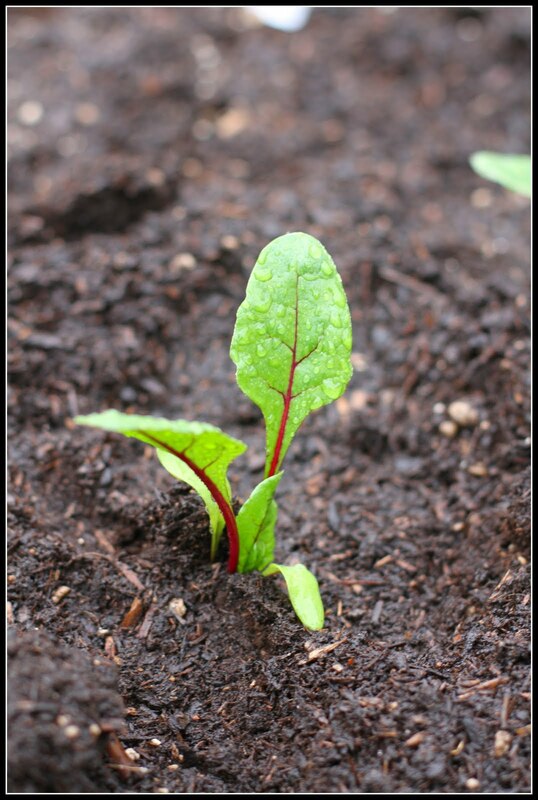 You can't plant them this way, they would never grow or develop. Beets are cool weather vegetables but can stand warmer temperatures. 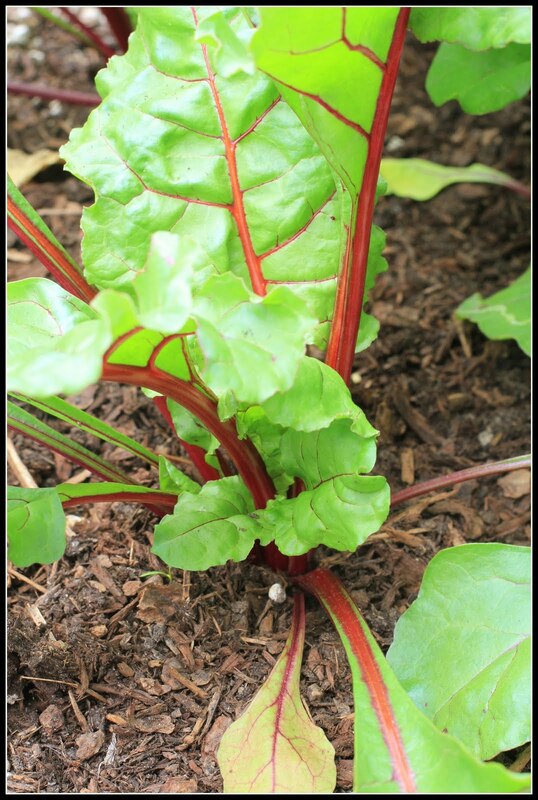 It is best however, to plant them in early spring or fall after the temperatures have dropped below 75 degrees during the day. 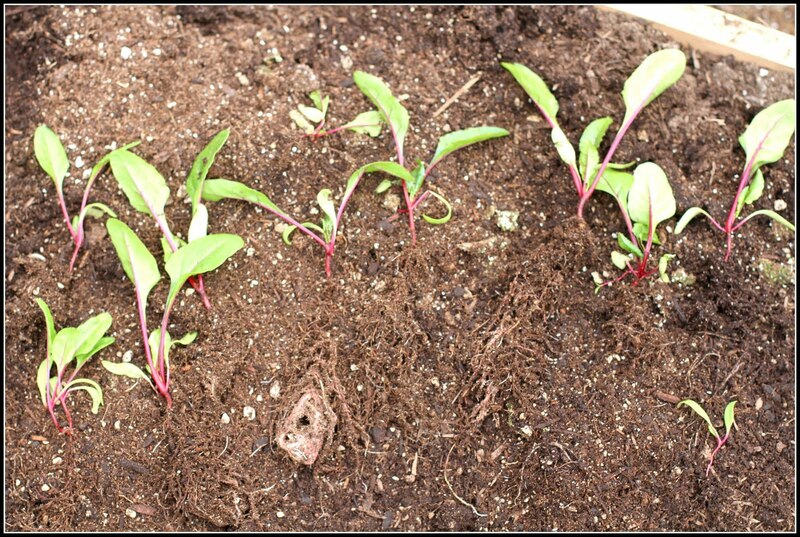 I gently pulled my beets apart, so I did not harm the root systems. Next I dug a trench and spaced them about 8 inches apart. 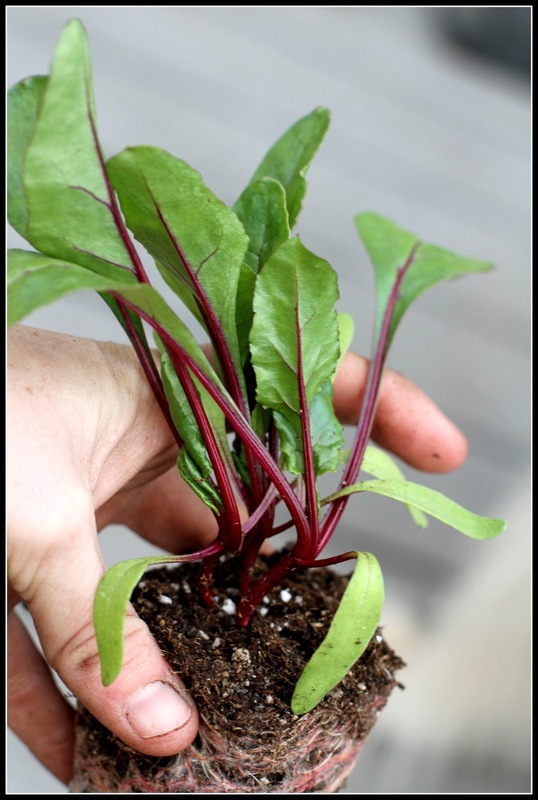 When transplanting beets, it's important to place the roots so that they are vertical. Dangle the start in your trench and slowly fill in the dirt around the roots. 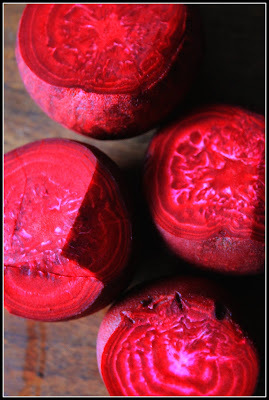 My beets grew really well this year, maybe it's because they LOVE temperatures between 60-65 degrees. It has been about 60-65 every day for about 4 months. I think they are the only thing in my garden that have benefited from this cool weather! I have also amended my soil with lime at the beginning of the year which beets need! 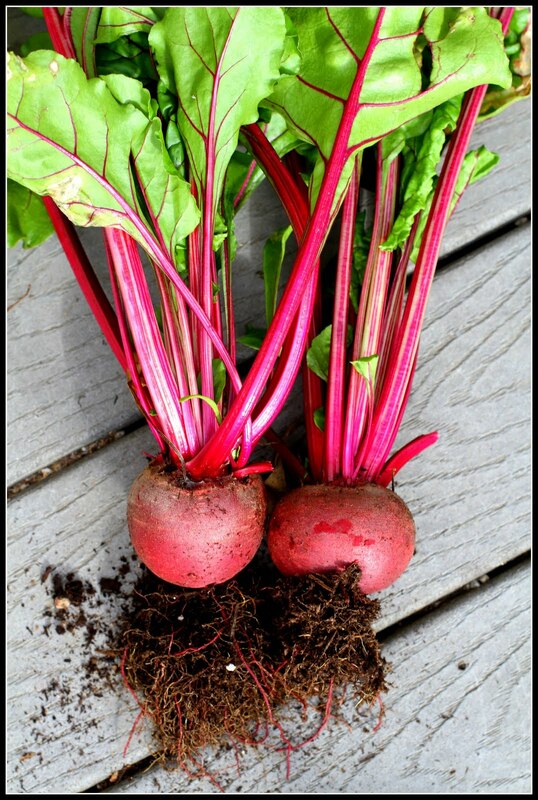 You can harvest beets at any time, suggested size is about 1.5 inches in diameter. I plan to plant a crop of beets in the late summer so that we can enjoy a fall crop!